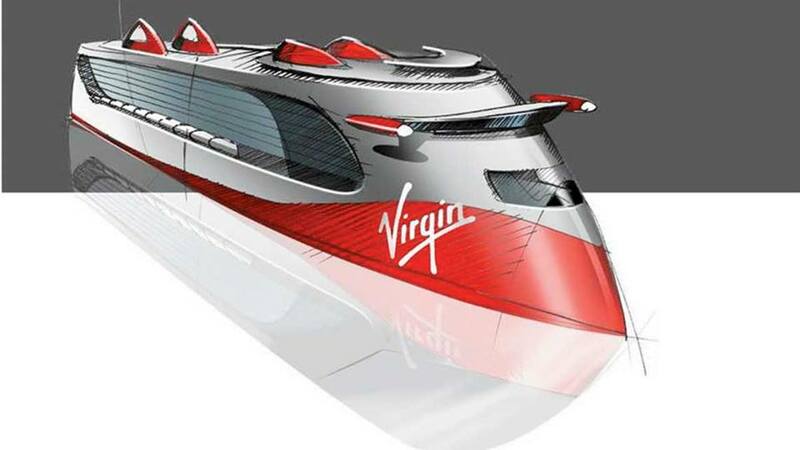 America’s Fox News channel has been given the first insight into what may be planned for Richard Branson’s Virgin Cruises, in an interview with chief executive Tom McAlpin. The line’s first ship, measuring 110,000 tons and designed to carry about 2,800 passengers, is due for delivery in 2020. Two more have been ordered from Italian shipbuilders Fincantieri. Tom McAlpin: Our vision is a very intimate ship, with a wide variety of entertainment and food choices. We want to be like no other cruise line. Our guideline is more like Virgin Airlines, for example: Modern, fun and with a sassy atmosphere. It wouldn’t be Virgin without some red. FoxNews.com: Are there any surprises already in the plans, or is it still too soon? Tom McAlpin: Oh, we do have some tricks up our sleeve already. Let’s just say they’re in keeping with Richard’s fun and slightly cheeky style. So far Richard is the visionary, but if we start to think in a new direction we certainly ask for his input. So far, many ideas are coming from our consumers; large focus groups (1,000+ people) and smaller ones comprised of fans of the Virgin lifestyle. FoxNews: You’ve been saying that Virgin will shake up the cruise world. What’s wrong with modern cruising? McAlpin: Most ships have gotten so big they have to be all things to all people. We want to go the other way. We want to appeal to our own crowd. With our focus on mostly millennials, many of them have kids, and bringing them is okay. We will have children’s facilities, but we are not focusing on families. FoxNews: What about the trend towards inclusiveness of beverages, gratuities and tours? Does that fit in with your vision? McAlpin: The industry is obviously going that way so we have to discuss it. But I just took a cruise (I won’t mention which one), but the online booking process got so complicated, even for me, that I just gave up and called a travel agent. We want to simplify everything – booking, inclusiveness, the experience, everything. FoxNews: Let’s talk about entertainment. You hired Richard Kilman, the former vice president of entertainment for Norwegian Cruise Line and the person responsible for bringing the cult hit show Blue Man Group to ships. Will Virgin have acts like Blue Man Group? McAlpin: Well, think of words Richard has used to describe this cruise line so far, like “sassy,” “active” and “non-traditional.” We are looking for entertainment that cruise ships have never even seen before. FoxNews: What can you say about your itineraries? McAlpin: Sailing from Miami makes some ports [in the Caribbean] obvious. Our first ship will do alternating itineraries so European clients can sail back-to-back cruises. But each new ship will offer different destinations so we can add variety and longer cruises. Our main goal is to find truly unusual shore experiences, activities and places that are off the beaten path. We have teased Richard him that he will see 2,800 of his closest friends coming every week to his private house on Necker Island. FoxNews: Will the ship’s horn play Tubular Bells, the hit for Virgin Records that helped launch Branson’s empire? McAlpin: Well, I was there when Disney decided to use “When you Wish Upon a Star” – so you never know.